Thank you all for your comments on my last post! I really appreciate all your kind words. Today I have a card that has, ahem, been sitting around for awhile, waiting so patiently to be shared. 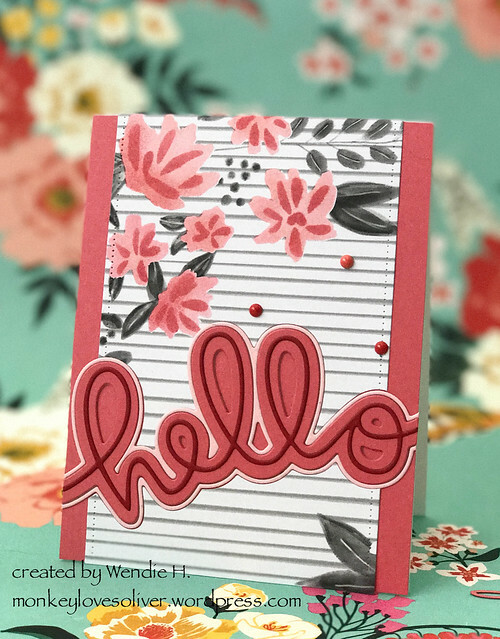 For this card, I paired the Floral Fill-in stencil and paper with the Say Hello die, all from Concord & 9th. First I ink-blended over the stencil to add the floral details on the patterned paper. Then I die-cut the panel using a pierced frame from Avery Elle and die-cut the “hello”. I also die-cut the hello from three different shades of red cardstock (from Reverse Confetti), assembled them and then adhered the whole shebang onto a coordinating piece of red cardstock cut down to 4 1/4 x 5 1/2. I added a few enamel dots and called it done. One of my quicker cards, actually. That patterned paper is really fun to work with. Speaking of which, I also made this card, using the Fill-in Phrases from the same bundle as the stencil and paper. 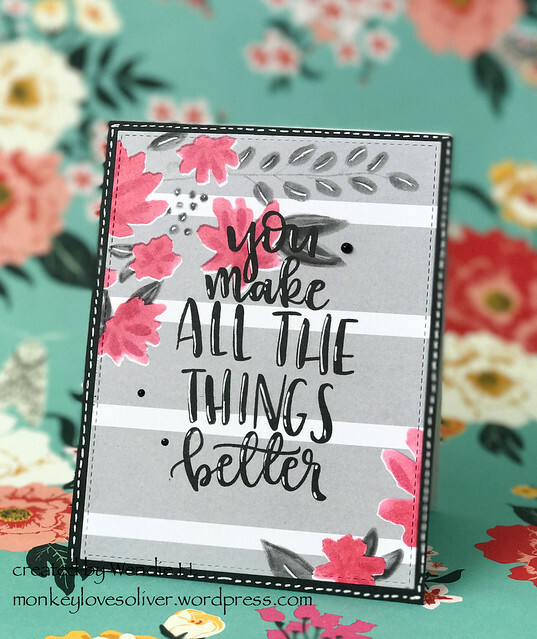 After stamping and assembling the card, I used a white pigment pen to add a faux stitch border and highlights on the stamp. That’s all for today, thanks for stopping by! Happy crafting, friends!